After several months of research I settled on the Ruger SR9c. 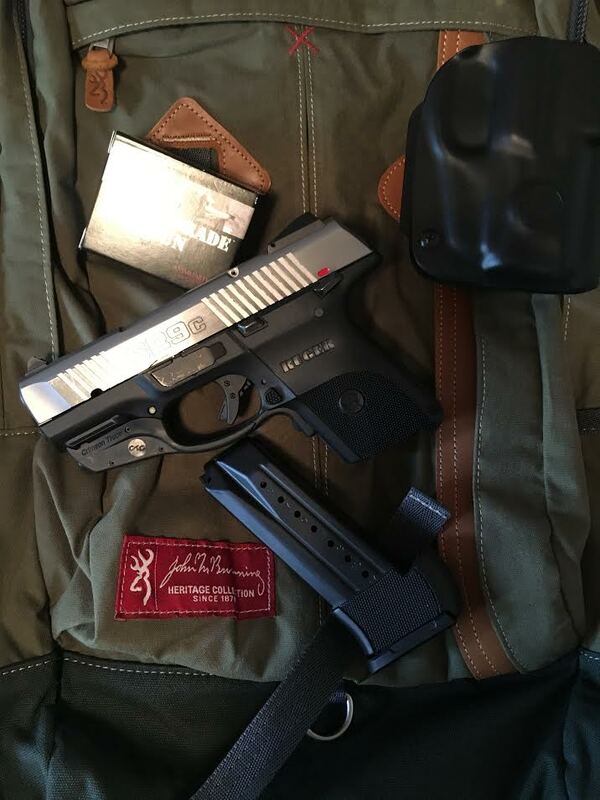 It won’t be my only carry gun option, but its my number one choice and here’s why. I wanted a full featured gun that felt substantial in hand and could be carried concealed. When I picked this up the first thing I noticed was... solid. The grip was comfortable and I didn’t feel constrained. The texture is a combination of smooth and textured glass filled nylon. Ruger ships the SR9c with both 10 and 17 round magazines. I just love that. No need to spend more to have both a smaller, more easy to conceal 10 rounds and a 17 round clip for some more involved tactical training tasks. The slide has grips on both the rear and front. You might not catch the value on first use, but this makes for a quick and easy grip when you load. You have to tip your hat to Ruger’s decades of development. The sights are good, but to speed things up I added a Crimson Trace LG–449. It’s tailored perfectly and works like its part of the original design. The laser trigger is intuitive as it lays just below the trigger finger. After a day, you won’t even think about it anymore. Safety is always important and the SR9c has both trigger and thumb safeties. The thumb safety is ambidextrous, which is really nice for me as I train both sides. It’s easy to grab, and the mechanics are straight forward. For concealed carry, its larger than some, but keep in mind this is a solid, comfortable handgun to shoot. To me, an excellent tradeoff. I find this gun works very well in several locations. I train with both a Bladetech holster and a 5.11 Tactical backpack. The exercises are similar, but the action required by my two carry methods are very different. The Ruger SR9c is comfortable in both settings. 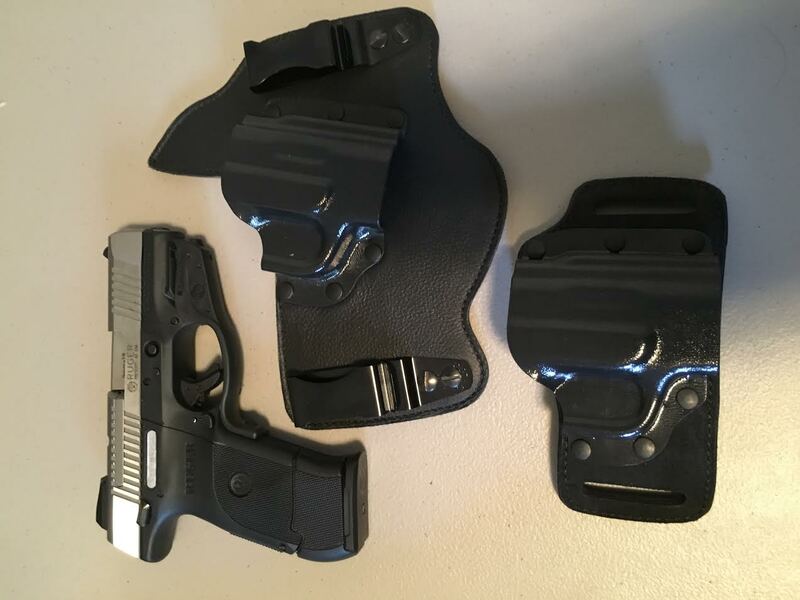 My holster choices are the Galco K149HO/KT484B and inside the waistband unit the Galco belt slide piece. The Bladetech/CTC holster is designed to fit the Ruger SR9c that is Crimson Trace equipped. The design is perfect. Combined together, the handgun, holster, and laser sight make a nice concealed carry solution you’ll enjoy for years.